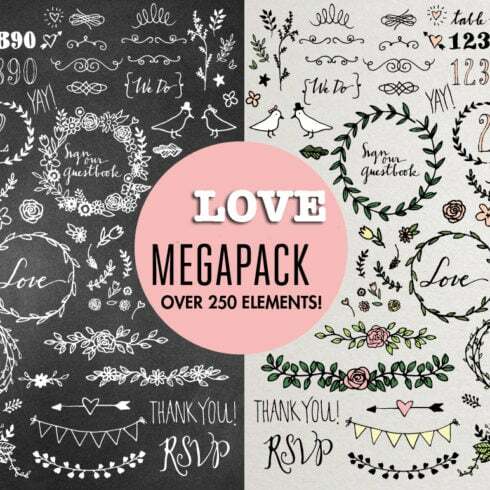 Only $10 for Over 250 Wedding Elements Vector. Don’t Miss! 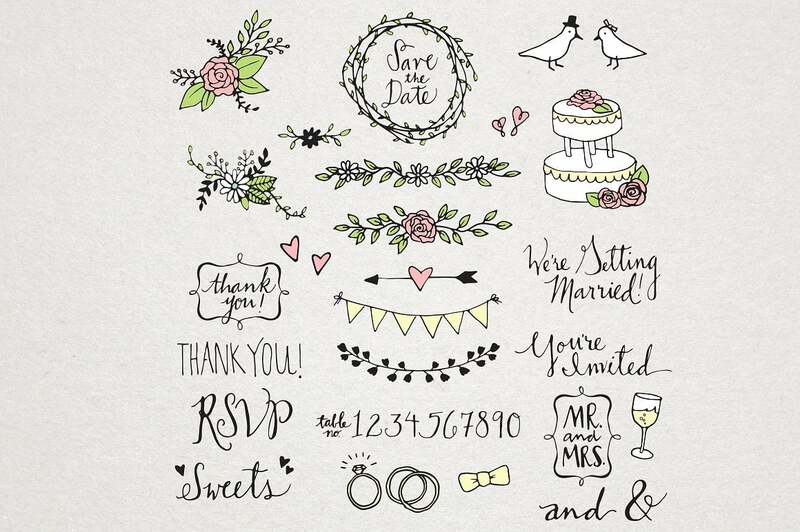 These floral items are perfect for elegant wedding-oriented designs. 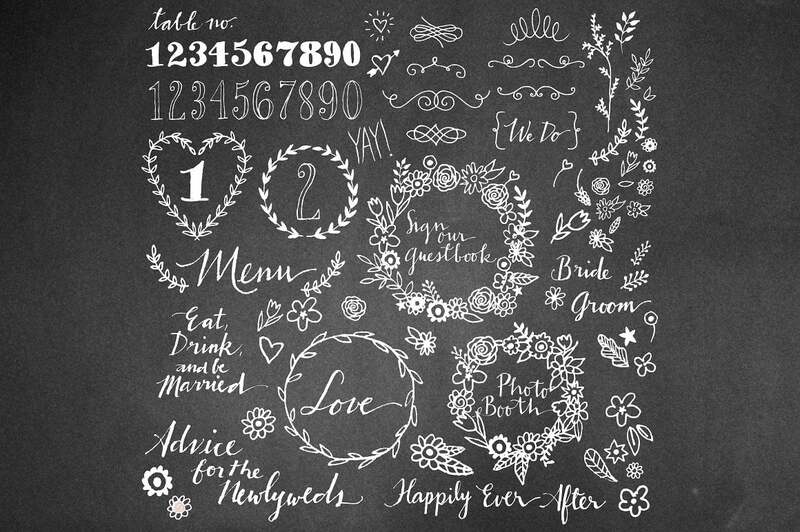 Feel free to use these wedding vector elements for invitation cards, wedding signage like guestbook & photo booth signs, St. Valentine’s cards, any type of artworks that need a unique look and romantic mood. With slight changes, you can get an original custom work with the help of these illustrations. All colors in this set of illustrations can be easily changed to match your needs. 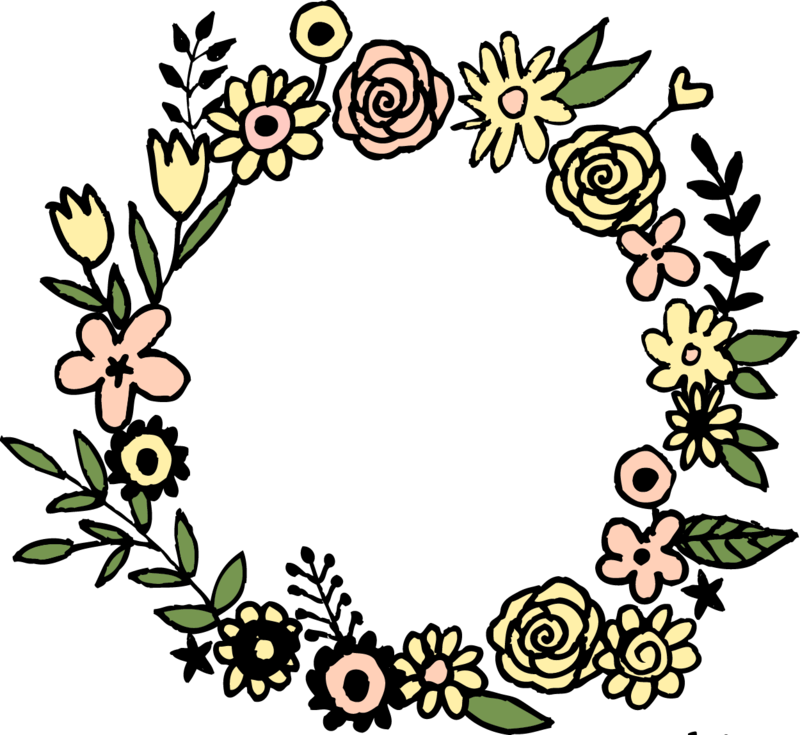 Flowers come in ready-to-use floral wreaths and individually, so you can design your own floral shapes, patterns, ornaments or use them independently. 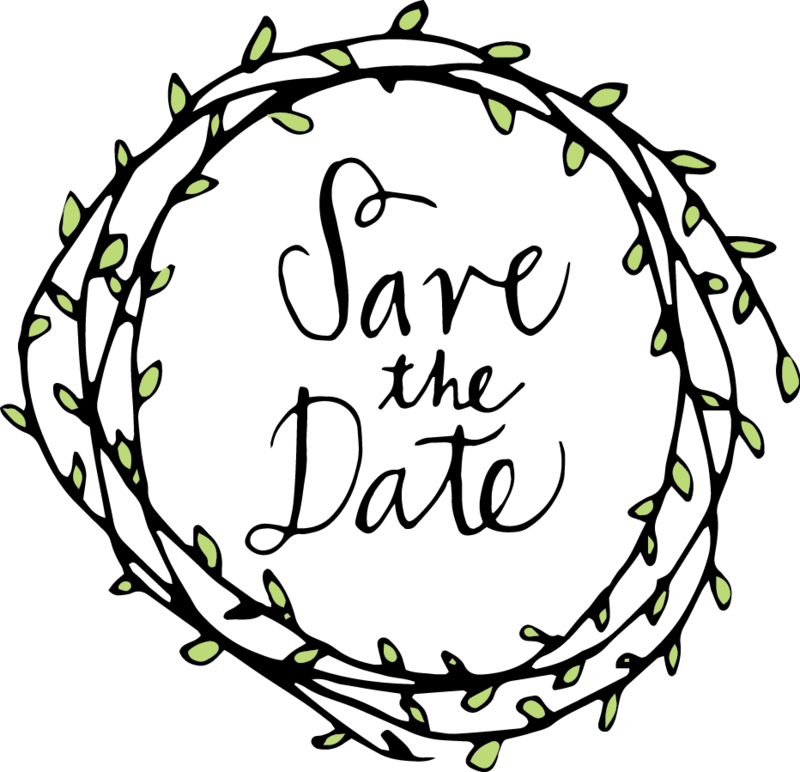 The vector format makes these illustrations scalable without quality loss. 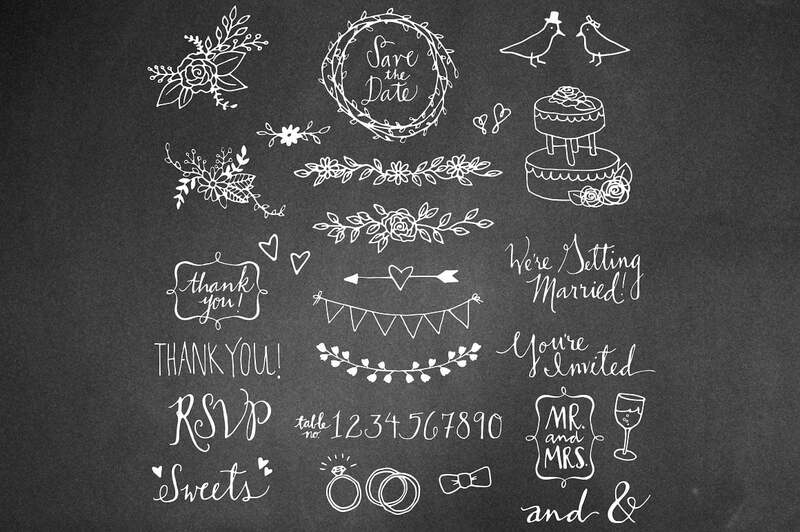 Wedding 2 & Wedding 2 Chalkboard Packs. Every design is highly detailed and carefully drawn. Want a stylish design for your works? 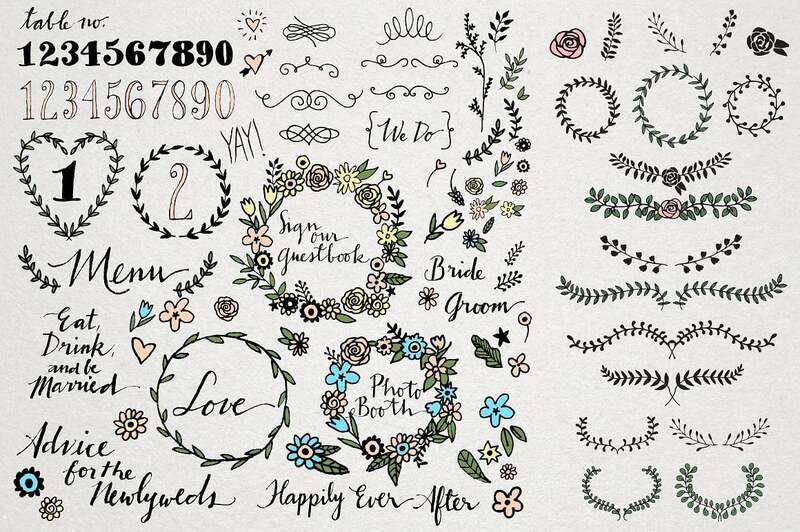 Then try this wedding elements vector only for $10. Best for printing products that deal with romantics and love. 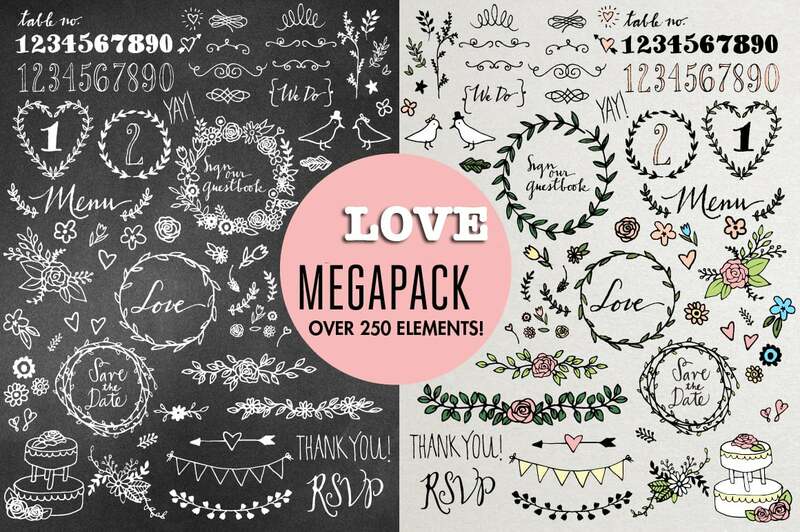 This hand-drawn Love megapack includes over 250 elements! 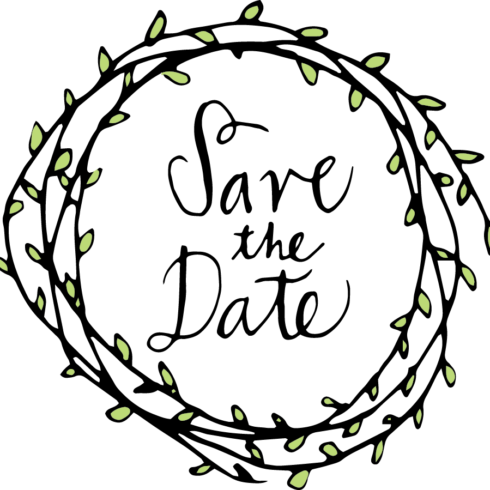 Vector and PNG versions of all illustrations, plus a bonus chalkboard pattern background. Check all our Valentine’s Day deals here. Design your own table numbers, wedding signage like guestbook & photo booth signs, invitations, and anything you can think of! It’s easy to change the color in any vector software to match your wedding colors. 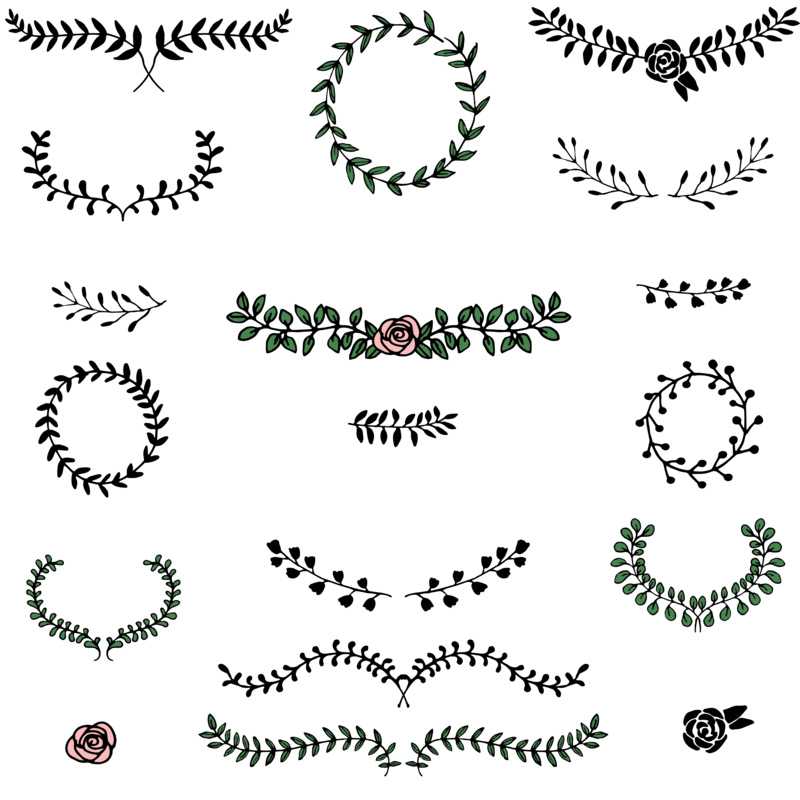 Flowers come in ready-to-use floral wreaths and individually so that you can design your own floral shapes. • All packs come with both AI and EPS files, and individual 300 dpi transparent PNGs. Can an artist sketch anything from the begining? Mostly, yes. Should he or she? It truly is unproductive, takes too much unnecessary time. This is exactly why many of the web designers use pre-made graphics components – combine them, modify them and create the design with their help. It is actually silly to buy these elements separately, so that’s precisely why they are combined into graphic bundles and offered for sale as a singular solution. How could you save on package deals? Are you looking for a 5% additional discount on any collection from MasterBundles.com? It’s not that hard. All you have to do is simply share the page with a bundle on social media (Facebook). Once done, the price cut will be automatically included in your current shopping cart. Why are graphic deals consistently profitable? The pros of graphic packages for graphic designers are quite obvious. But if you are a newcomer to those elements and still have doubts, the subsequent information will be of great help for you. Including a large number of the components in a single pack, the collection provides you with a chance to use different of them for various projects. Besides, the price is often cut down tremendously which lets you save some money, yet receive the complete set worth hundreds or thousands of dollars. The selections of components accumulated into a graphics bundle are typically categorized in accordance with their kind and/or purpose. There can be packages with business card templates, mockups, infographics, wedding invitation templates and icons, etc. You will also be able to find graphic deals especially for Halloween, St. Valentine’s Day or Christmas. MasterBundles offers you a big variety of unique bundles. We market not only graphics bundles but also something like 20 other various kinds of products and solutions. Fonts, WordPress themes, mockups, icons, photos, illustrations, presentation templates and a lot more – on the MasterBundles.com you will be able to obtain all of the graphic elements, essential for a design project development. If you feel like you have lost track of time while looking for various tools and elements for your current graphic design jobs, it is high time to learn more about MasterBundles. It is a marketplace offering the most popular instruments (graphics, logos, presentations, fonts etc.) for web designers, online marketers, and developers at a reasonable price for a very limited time. In order to not miss out on major news about the forthcoming promos, we advise following our blog and subscribing to the email newsletter.